Indian Idol 10 is celebrating the most awaited and loved festival of Ganpati Bappa with Maha Ganpati special episodes. Get ready to become a part of the festivities with the Top 11 contestants, musical prodigies from the entertainment industry – Ajay & Atul and judges Neha Kakkar, Vishal Dadlani and Anu Malik. The judges and guests were impressed after Indian Idol’s Marathi mulgi Avanti Patel’s performance on ‘Apsara aali’ and expressed the importance of that song in their lives. How can Ganpati celebrations ever be complete without Lord Ganpati’s favorite sweet Modak? 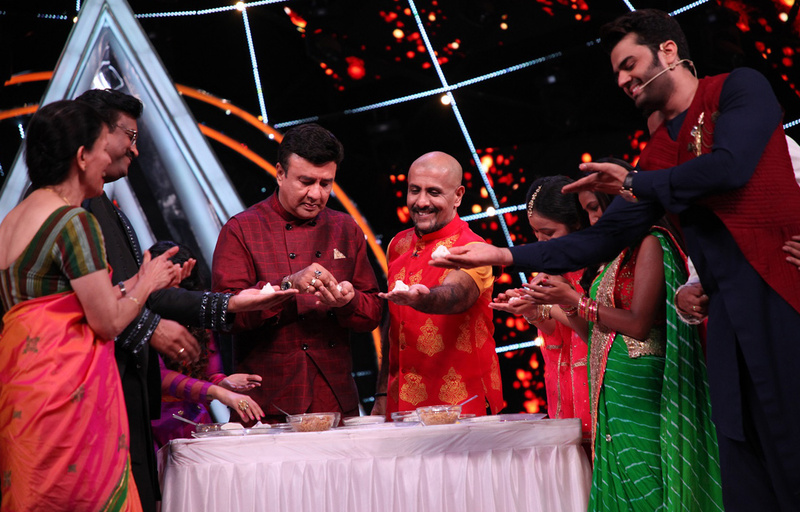 The Indian Idol team hosted a modak making competition on the sets! An interesting Modak making competition happened on the sets after Avanti Patel’s mother taught the guests and judges how to prepare modaks. Avanti Patel’s mother challenged Ajay & Atul and judges Neha Kakkar, Vishal Dadlani and Anu Malik to make modaks, after which everyone tried their hands on making the traditional Maharashtrian steamed sweet.